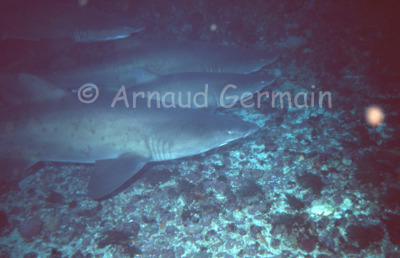 In July, the Ragged Tooth Sharks (or Raggies), congregate on Protea Banks for the mating season. They are very placid sharks. they are quite impressive with their mouth half open sporting dagger like teeth (which are used to eat fish, not people!). They fill every gully and cave on the reef during the day. They can also, contrary to popular belief, remain stationary.